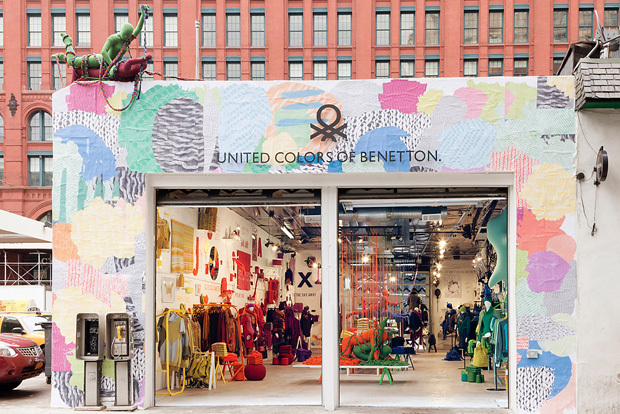 United Colors of Benetton have opened up a concept pop-up experience in Soho, NYC (135 Crosby Street, to be exact). 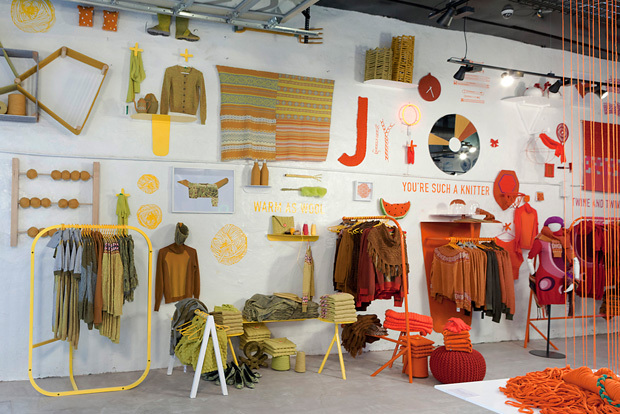 It’s named The Art of Knit, as an ode to the history of the brand, as well as knits, color and creativity. 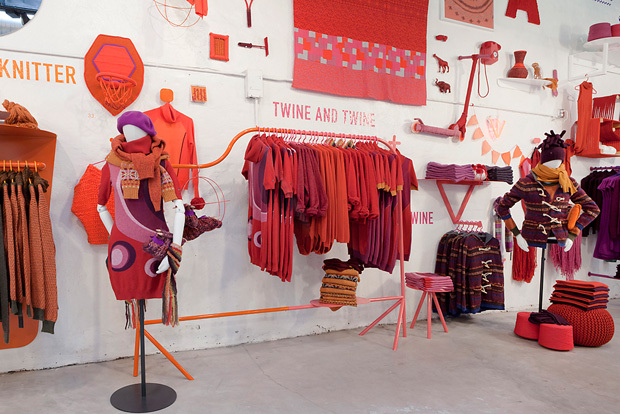 The space was converted from a garage to “a vivid mix of retail, gallery and craft workshop knitted together”. 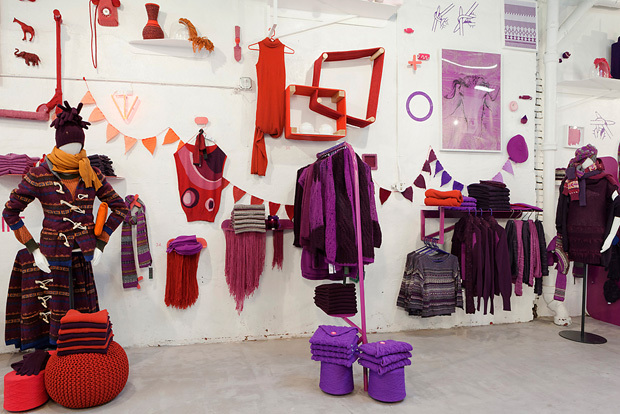 You Nguyen, the creative director of Benetton, and FABRICA, Benetton Group’s Communication Research Center were the masterminds behind the project. 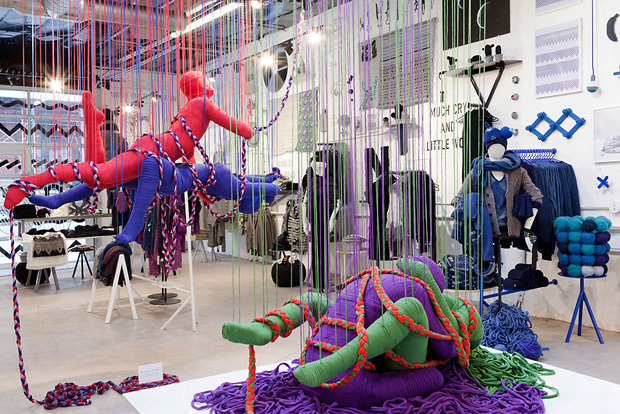 A broad rainbow colored spectrum of curiosities, artworks and illustrations are adorned with wool. 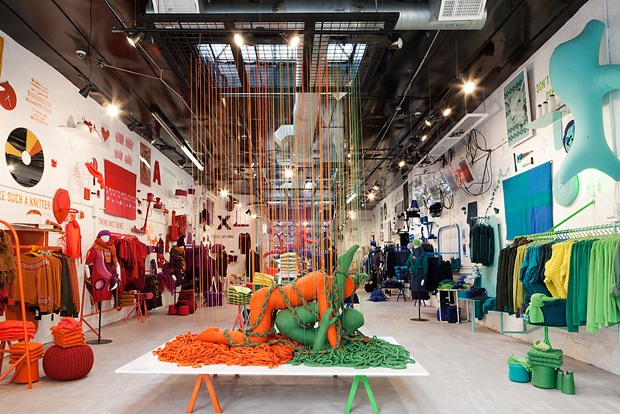 Benetton is breaking the rules of a conventional retail store, where dolphins, cactus, and neons are welcome, and going so far as to feature a “Lana Sutra”, life -size couples knitted in Kama Sutra poses (see above). 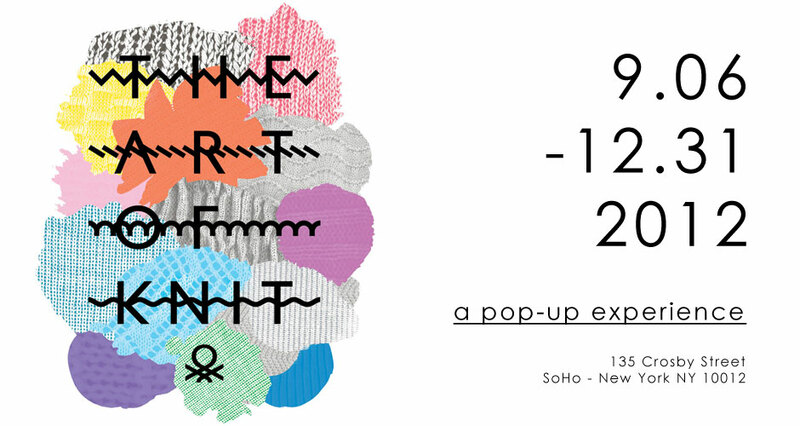 The pop up store is only open for 3 months, so if you’re in the NYC area, be sure to visit by December 31, 2012. 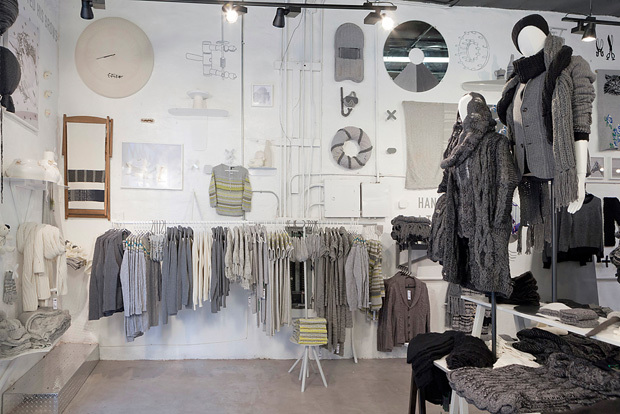 Of course, for all of you unable to make it, here is a look into the concept shop. 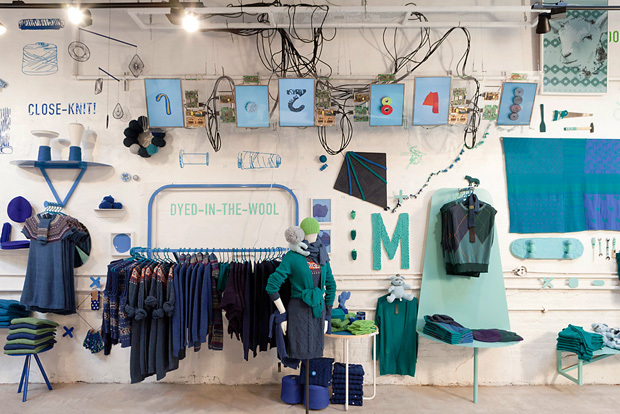 In signature Benetton style, it is a true celebration of diversity. What do you guys think of the shop? 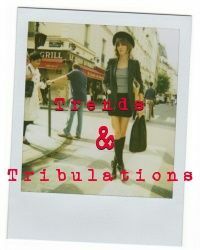 Great article and pictures!! 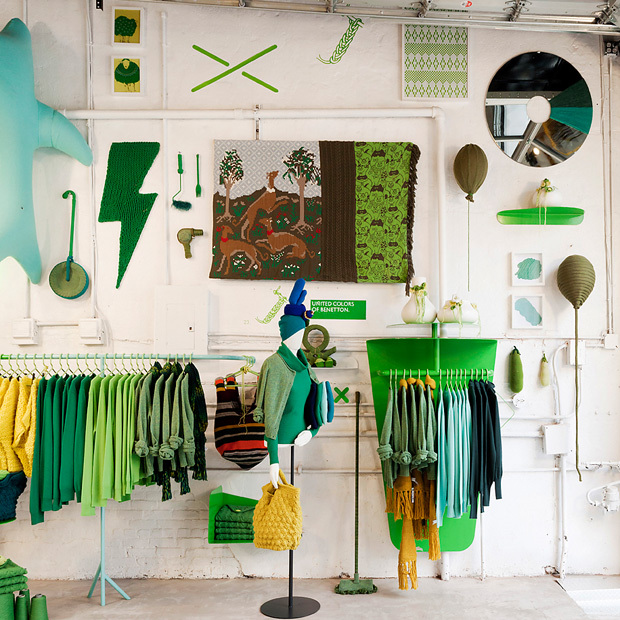 Would love to see the shop in real life! the shop looks amazing!!! love it!